While I was treating the rubber seals the other week I found something which had me scratching my head. I opened the rear passenger side window and something came loose - ick I thought, something isn't right here. 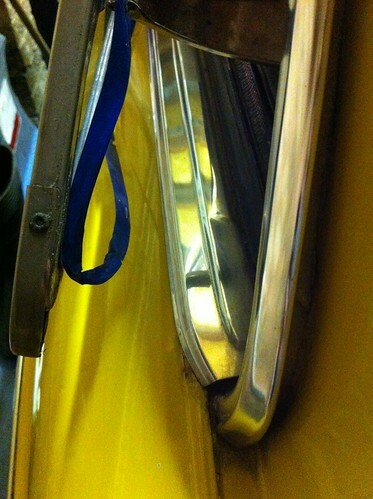 Then I saw it was blue tape - the sort you get protecting new chrome these days. So the question is does this suggest the rear window has been replaced at some point - and the fitter forgot to take the tape off - or did they come from the factory like this? The other window doesn't have it, but then that's the easiest window to open from the driver side, so it could be the passenger one never got opened? Either way it's an interesting find.